How Do Dental Implants They Work? The actual dental tooth implant is a small, sturdy, titanium or ceramic zirconia post which acts like a root structure of a natural tooth. 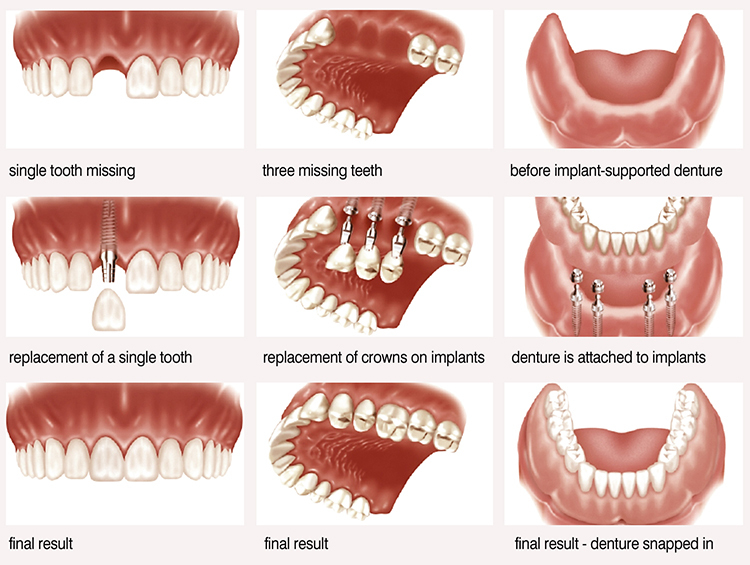 The dental implant placement is surgically performed in either the upper or the lower jaw. 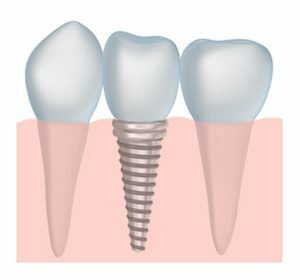 After allowing several weeks for healing, the dental tooth implant fuses with the bone and is supported by the surrounding gum tissue, thus producing a strong anchor. Then a dental crown, bridge, or denture is attached to the metal post, creating a natural looking replacement for the missing tooth or teeth. Dental implant specialist Dr. Meisam Nejad now offers same day tooth implants in Edmonds, WA. If Edmonds dental implants specialist Dr. Nejad determines that you are a good candidate for tooth implants, he will surgically attach the dental tooth implant to the jawbone. Over a period of several weeks after the dental implant placement, the bone will integrate and connect to the implant. During the healing phase, a temporary replacement crown is worn above the dental tooth implant. Once the tooth implant has fused with the jawbone, a second piece, called the abutment, fits over the implant and protrudes from the gum line. Then a dental crown is placed onto the abutment for a permanent and naturally appearing tooth replacement. A denture or fixed bridge can also be anchored to a dental tooth implant for stability and function. Thanks to our advanced technology, Dr. Nejad is now able to offer tooth implants in a day in Edmonds, WA. Miniature Dental Implants (MDI) are smaller and are easier to place in the jawbone. The one-step mini dental implant placement procedure is less invasive and takes only about an hour, most often without need for incision or stitches. The mini dental implant placement procedure can be complete in one visit with virtually no discomfort. Unlike a traditional dental implant placement, the placement of the mini dental tooth implant does not require months of healing. The mini dental tooth implant is an excellent solution to anchor and stabilize removable dentures. Dr. Nejad utilizes the most advanced clinical procedures to provide same day dental implants in Edmonds whenever possible. If you need a tooth replacement, call us today to schedule an appointment to see if you are a candidate for tooth implants in a day! To learn more about dental implant procedures, click on the link below from your Mac or iOS device to download the MIS Dental Implant Patient Education iBook. Are you asking yourself, “Am I a good candidate for dental implants?” Come in for a FREE CONSULTATION with Edmonds tooth implant expert Dr. Nejad for a thorough evaluation of your situation. Contact Emerald City Smiles in the Edmonds – Mountlake Terrace area today at 425-786-0330. Dr. Nejad can determine if a dental implant is right for you!